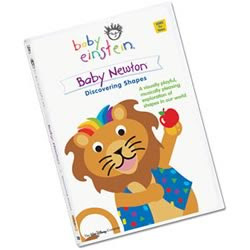 Apparently there are some public relations issues going on with Baby Einstein. As a result, they are offering a $15.99 refund no matter the original purchase price on any Baby Einstein DVD purchased between 2004 and Sept 2009. 1. Package the DVD, in its original DVD case (if available), into a suitable mailing envelope or package. 2. Include the completed (hand-printed) request form below or an 8½x11 sheet of paper with your signature, name, address, telephone number and email address. 3. Indicate the DVD title you are returning and date of purchase. 5. Submissions must be postmarked by March 4, 2010. Note that this offer is good until March 4, 2010, so you have plenty of time to get in on this offer. Please be honest with this submission and return only DVDs purchased during this period.